While Pautrot excelled at sculpting birds, he also did fine models of hunting dogs and their quarry. 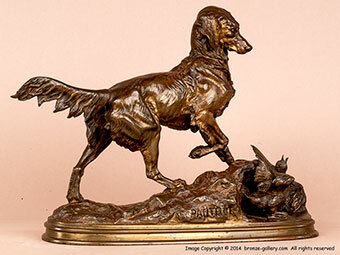 This lively bronze shows a Setter or other hunting dog as he flushes a Game Bird. The dog has stopped in surprise as the bird flies out in front of him. 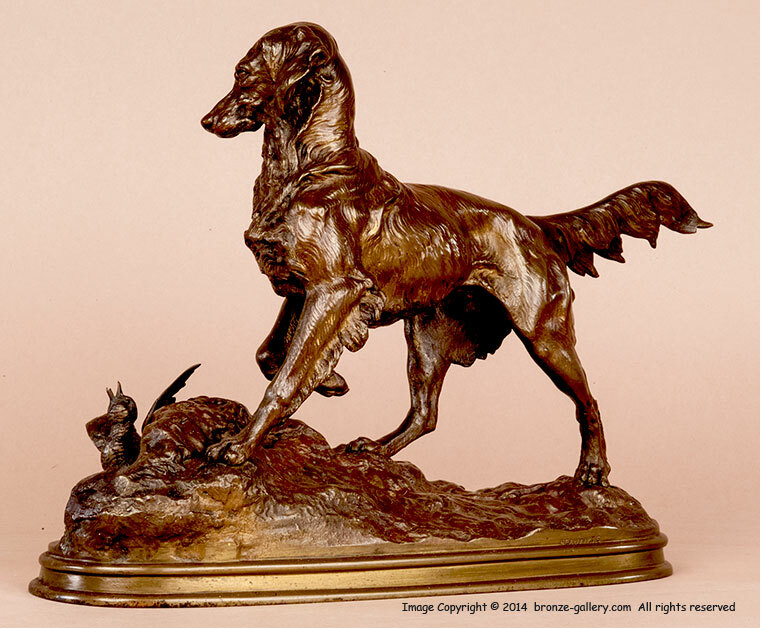 Hunting dogs were popular subjects for art in the 19th century and were often shown in paintings and sculpture. The dog breeds looked somewhat different back then so it is hard to tell if this is a Setter, Spaniel, or a Retriever. 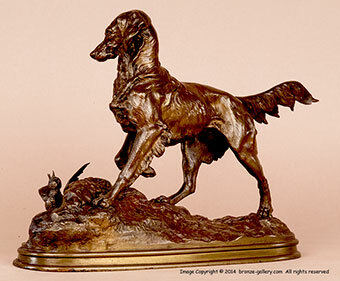 A handsome bronze, this rare model captures a moment in time with the dog and bird frozen as if captured by a camera. A rare model with a warm reddish brown patina, it is signed and marked "BEAUX ARTS" on the base.